Get started today for all of your realty needs! as easy and worry-free as possible! selling easier and more rewarding for you! you have a realty team! We are the team to turn to when it counts! Whether you are looking to buy or sell commercial or residential real estate, our 35 years of combined experience will be there for you every step of the way. 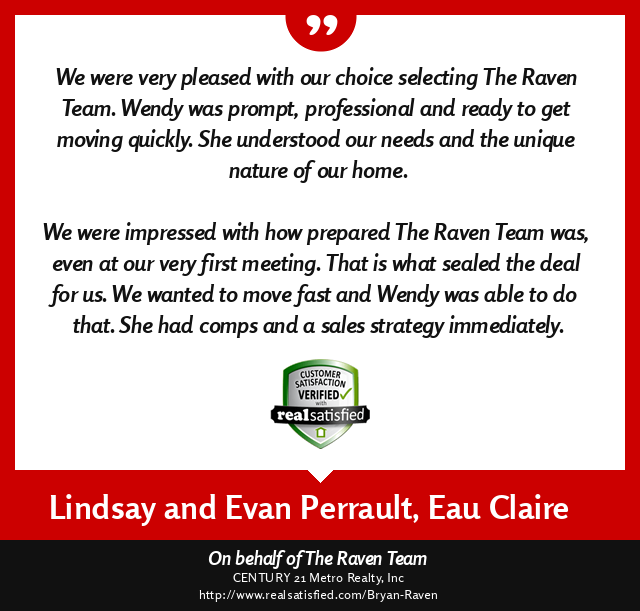 The Raven Team understands the Western Wisconsin real estate markets and has extensive experience in real estate in Eau Claire, Menomonie, Chippewa Falls and beyond. Backed by specialized training and the latest in technological resources, we will make every aspect of buying and selling of a home, commercial property, farm, or land easier and more rewarding for you. My wife and I had a great experience working with Wendy. It was a competitive bid with 4 offers by the 3rd day. The process went smoother than I could have anticipated. She understood our needs during the process and made it happen. 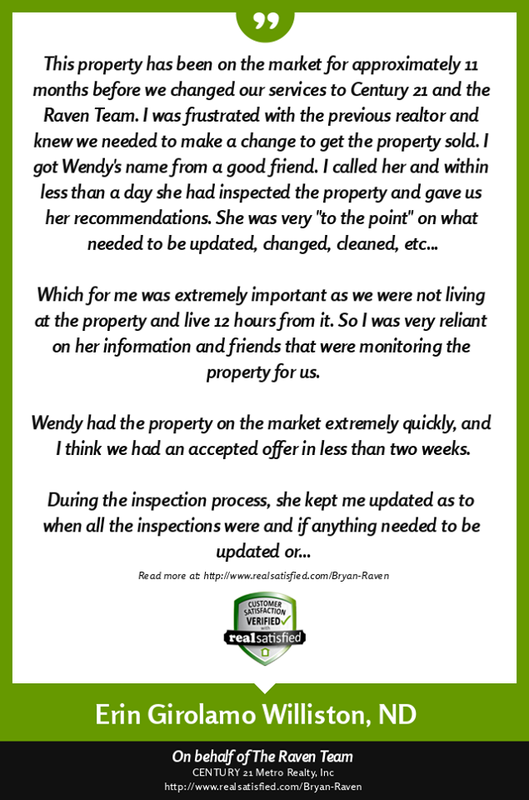 We couldn't be happier, and would definitely recommend Wendy to friends and family! 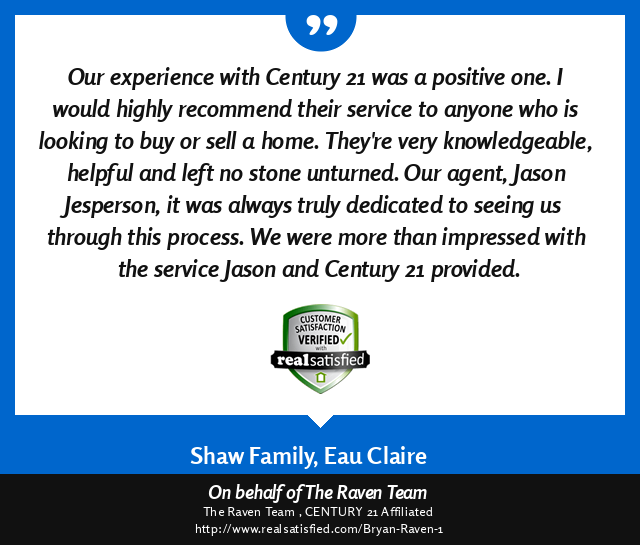 Jason and the staff at The Raven Team provided excellent service and guidance. There were a lot of questions and options along the way, and Jason's experience proved very valuable. 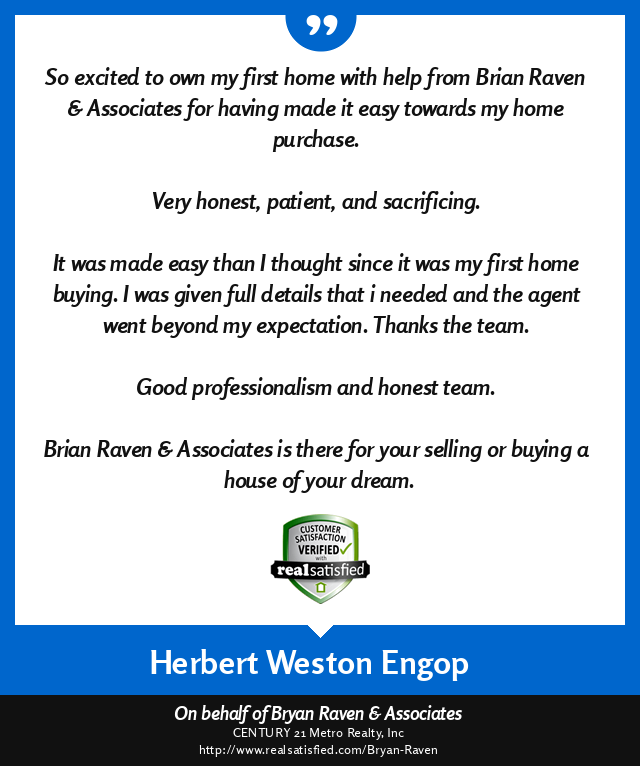 Our house sold in 5 days and Jason worked hard to help us find the perfect next home. Thanks Wendy for a quick purchase agreement and easy closing! Great working with Bryan, he knows the area, product and is very easy to work with. We had a complicated sale and our agents, Jason and Bryan, did a great job. 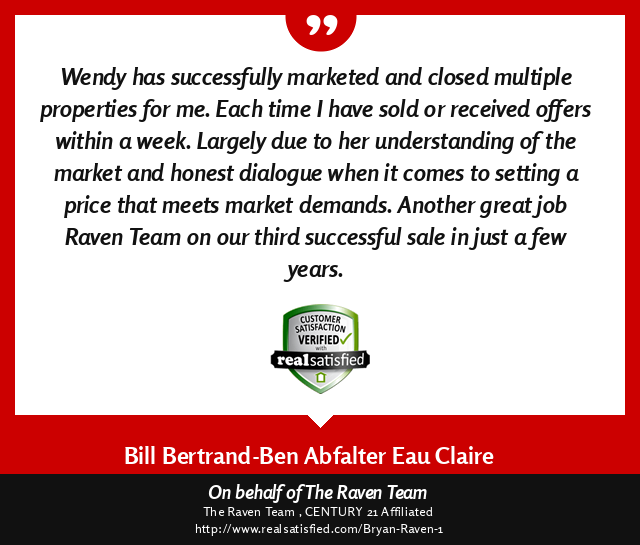 Wendy was great, we will definitely use her in the future for any real estate needs! 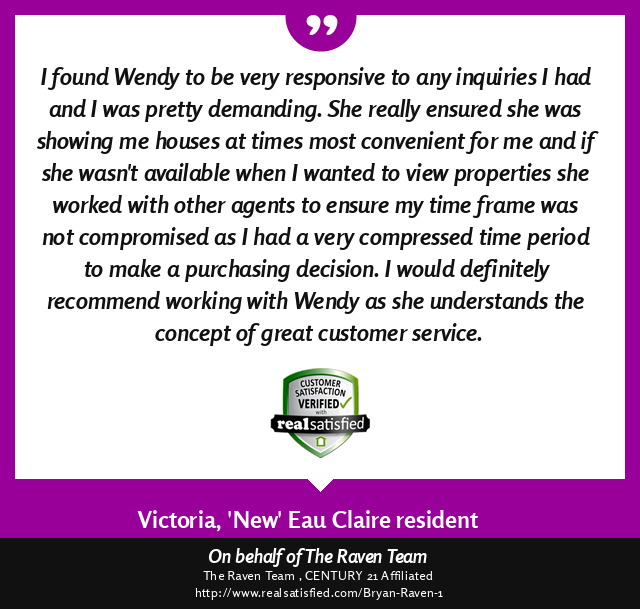 I enjoyed working with The Raven Team they were polite and professional and easy to work with. I liked that whenever I called I got an answer and was able to get into every property I was interested in immediately after calling and they worked around my very busy work schedule. 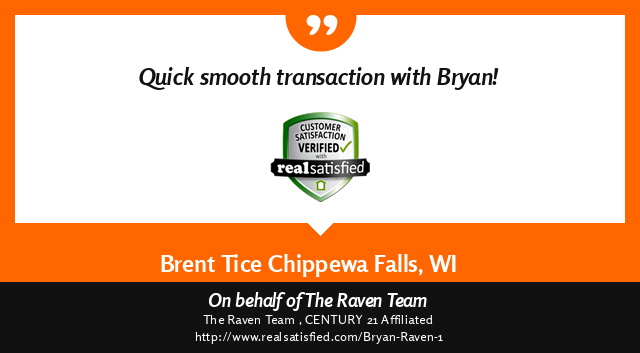 The Raven Team made our real estate transaction simple and easy, I would recommend them to anyone and plan to use them again for future real estate transactions. Wendy Heffernan was so wonderful. She understood my wants and needs and did so much to help me get into my first home. She made the buying experience very comfortable. I would refer Wendy to anyone! Jason did a wonderful job. He was very helpful in walking us through the entire process. He showed us a lot of houses. 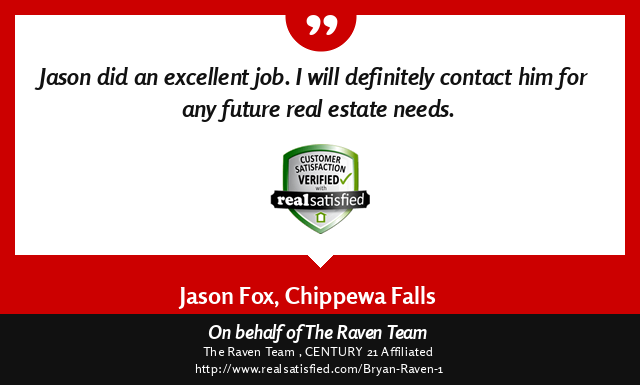 Jason found the perfect house for our family and we couldn't be happier with his services. I will recommend Jason to all my friends and family. Sold the house in 3 days! What more could we ask for? Bryan made this so much easier that I was anticipating. He's very knowledgable about how it works and gave me all the info and great resources when I needed them. Our house just sold in 5 days!! Very happy! 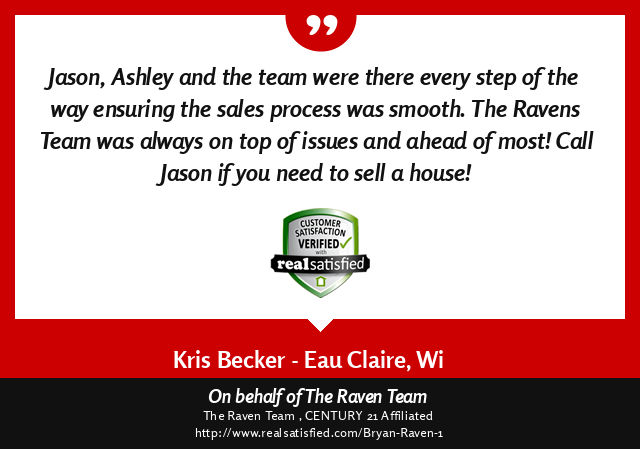 Jason was extremely helpful through the process of both selling and buying homes. He was very professional and honest throughout both processes. He offered suggestions on how to help get my home sold and worked hard to find a buyer for us. During the purchase process he was very helpful in finding properties that met our specific needs and while looking at them pointed out both the positives and negatices of the homes. I would suggest him to anyone looking to either buy or sell. Jason Jesperson was our realtor. He was there for us and without his help and knowledge, we would not have solved the water coming into our basement. Terry and I have the highest regard for Jason. We left Eau Claire the day of the closing. Jason messaged us to make sure we were safe pulling our 14 ft travel trailer on our way to Florida. Jason is professional and caring. He is a great asset to Century 21. 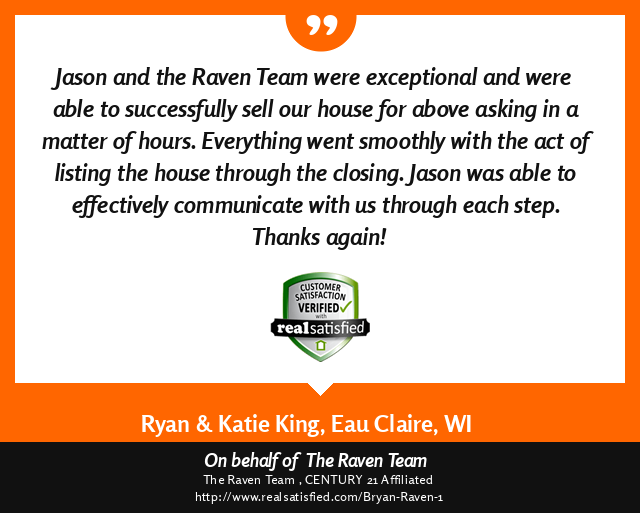 We would not hesitate to recommend Jason to anyone wanting to purchase or sell their home. Thank you. Jason Jesperson did an extremely good job even in spite of some extenuating circumstances.